Originally part of the Cherokee Indian Tribe's hunting grounds, the area was a fine place to live, as the first settlers quickly learned. Several decades before the Revolution a sprinkling of families had set down their roots in the mountain coves in the midst of the Cherokee hunting lands. By 1768 traders were already traveling up the old Blackstock Road from Charleston to bargain for furs and hides. The proximity of the two civilizations resulted in many clashes and much bloodshed. The conflicts became so numerous that the Royal Governor, William Tryon, himself journeyed west from the colonial capital to parley with the Cherokees and negotiate a boundary line. The new line agreed upon extended from a point near Greenville in SC to the highest peak on White Oak Mountain. 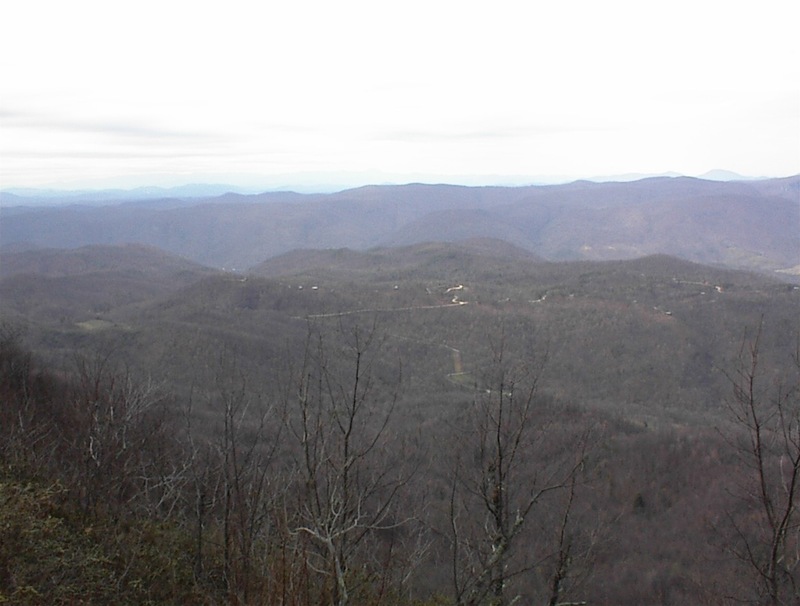 When the treaty had been signed, Governor Tryon was flattered to learn that the settlers had named the highest place on White Oak - Tryon Peak. Determination of the boundary, however, failed to insure safety for the pioneers to the east or for the Indians to the west. Many vicious raids continued despite the establishment of forts. One of the heros of the time was the Indian, Skyuka. As its population slowly increased, the area became a favorite stopping place for drovers transporting livestock from Kentucky and Tennessee to seaboard harbors. With political independence, towns gradually emerged. Polk, named to honor the Revolutionary War hero, Colonel William Polk, did not achieve county status until 1855. Columbus, the county seat, was names for Dr. Columbus Mills of Mill Spring. One of his ancestors, Colonel Ambrose Mills, was a Loyalist who was hanged by Patriots after his capture at the Battle of Kings Mountain. An imposing courthouse, built of handmade brick in 1855 distinguishes the Town of Columbus. The ancient slave block still remans on the courthouse lawn. Tryon is the largest city in the area and is probably the most unusual in the versatility of its residents. Half the population has migrated from other parts of the country to enjoy the mild climate and beauty of the surrounding countryside. The transplanted residents are chiefly writers, artists, educators, professional people and industrial executives who are fascinated with the tranquility of the community life and who contribute so greatly to the social advantages of the city. The Hunting Country abounds in large estates and stables to make an equestrian paradise. There are hundreds of miles of marked riding trails(FETA). The fox hunts, horse shows and steeplechase are well known throughout the country. Saluda, on the county's western border, has long enjoyed fame as a vacation area and place of retirement. Many of the Low Country people seek its pleasant summer climate as well as the sheer beauty of its mountain setting. Other communities such as Mill Spring, Sunny View and Green Creek have retained the charm of the Old South. The local roads are all good and provide easy access. An interstate highway(I-26), extending from Charleston, SC to Tennessee, provides convenient egress from the outside world. The mountain slopes of the region experience a climatic phenomenon known as the Thermal Belt. This is due to a temperature inversion, which results in a belt, rather indefinite in width, wherein frosts of the valley - or the freezes of the higher elevations - do not occur. Botanically, the area is rich in native flora. Lakes Adger and Lanier as well as the Green River provide aquatic sports and fishing. Some of the clear, cold mountain streams offer good trout fishing in season. Golf, riding and hiking attract devotees who need not wait appropriate seasons for such outdoor activities.